He've made significant progress in the Ruby development environment like testing and deployment environment over the past years. His job that takes a time and patience allows us to focus on building and releasing the Ruby core then ever before.  We value his great effort of enlightening people about the internal of the Ruby virtual machine through publishing the book "Ruby Under a Microscope" The book that tried to explain what the Ruby syntax looks like and how Ruby works internally.  It has helped many people to dig deeper into the complex Ruby world. Running mruby on the HTTP server softwares is embodied by mod_mruby and ngx_mruby which expansion module for the Apache server.  We value a his series of software that expands the possibility of the Ruby.